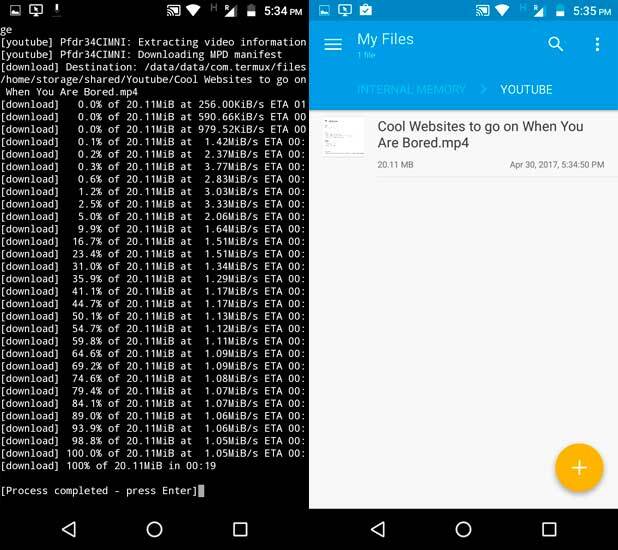 There are tons of online sites and Android apps, that let you download videos from the Internet. 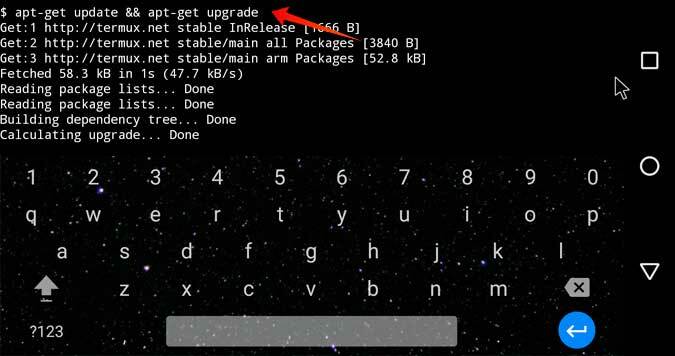 But how about we do this, with Android terminal (No ROOT required). Sounds geeky? Well, let’s see how to do it. Set it up once and forget forever. So, how is it going to work? I highly recommend you watch the following video first, in this post, I’ll be explaining the steps and fixing some common errors that you might get while trying the method. So, let’s get started, shall we? 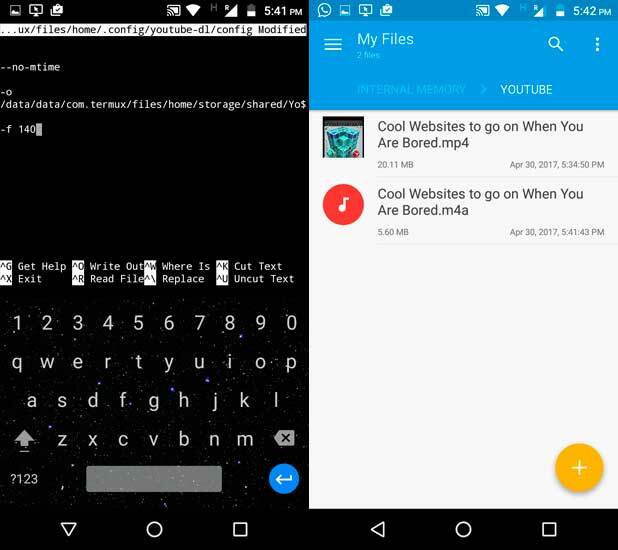 Head over to Google play Store and download any terminal emulator app. 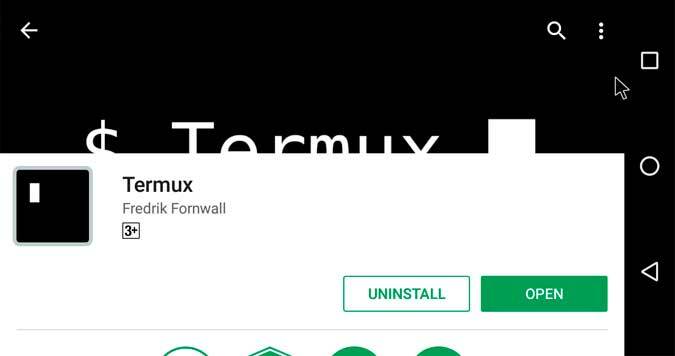 For this instance, let’s go with Termux. Now, since it’s our first-time setup, we’ll have to type in some terminal commands. Don’t worry, all these commands are simple. And don’t require any root access. 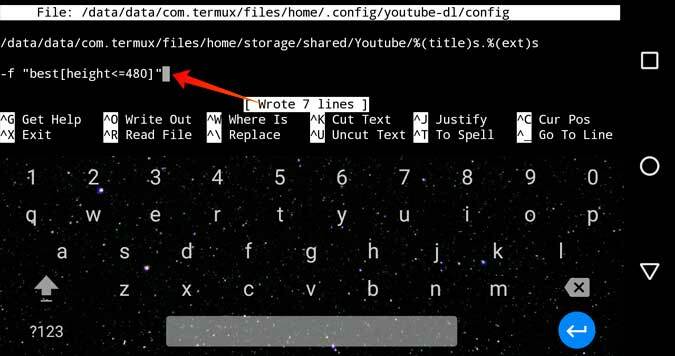 You can download this file (Google drive) and copy paste them one by one to your terminal. and then press Y to confirm changes. 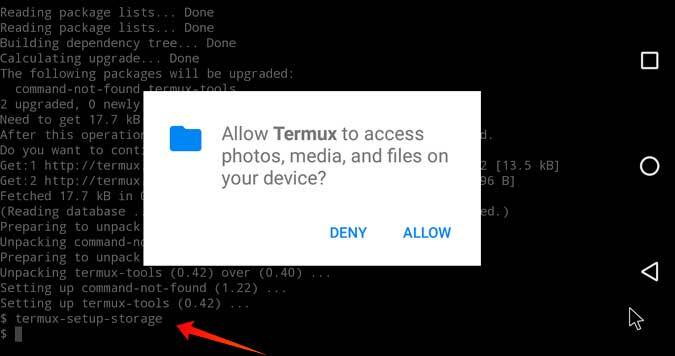 Next, you need to give termux access to your device’s filesystem, So type in following command and press enter. Next, we need to install YouTube-dl package, that will do all the magic in the background. 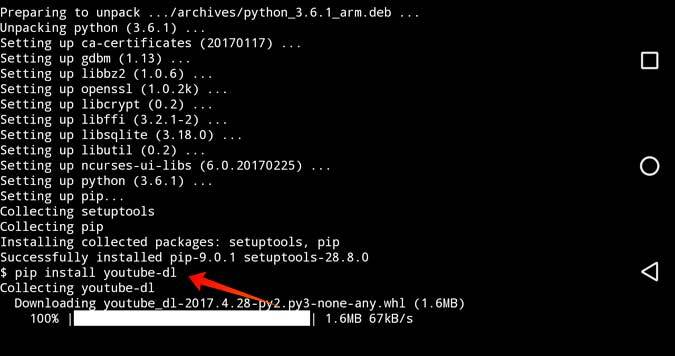 But, YouTube-dl needs python to work. 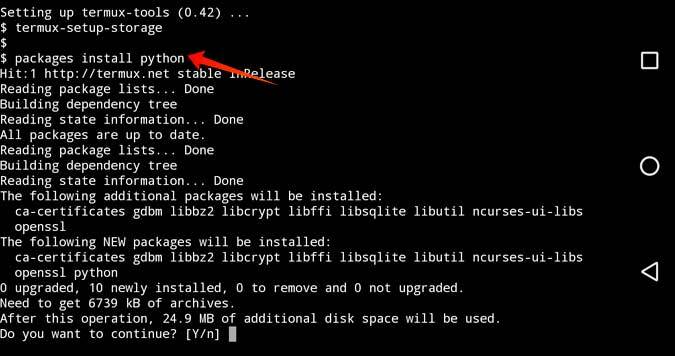 So, first, you need to install python. Now, if you go to the root of your internal storage, you should see a folder called YouTube. And to do this, we’ll, create config files and add all the rules in it. So, to create a config file. Type this command. Okay, now we add rules to the config file. Open it with nano editor with this command. And copy-paste the following rules i.e. what is the default download folder, title, and resolution. For this instance, I’m going with 480p, which obviously, you can replace with 360, 720 or 1080p. 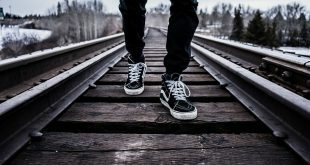 If you want to download only audio, use 140, more on that at the end of this article. Now, usually, to save changes we do CTRL + S right. 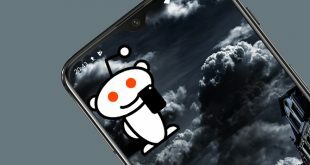 But since, we don’t have any CTRL key on Android. These terminal emulators use vol down key as CTRL key. So, save your changes and exit the app press use the following command. So, far we have created a bin folder and in that, we have created a new file called – termux-url-opener. This will open the nano editor, paste the following command in it. 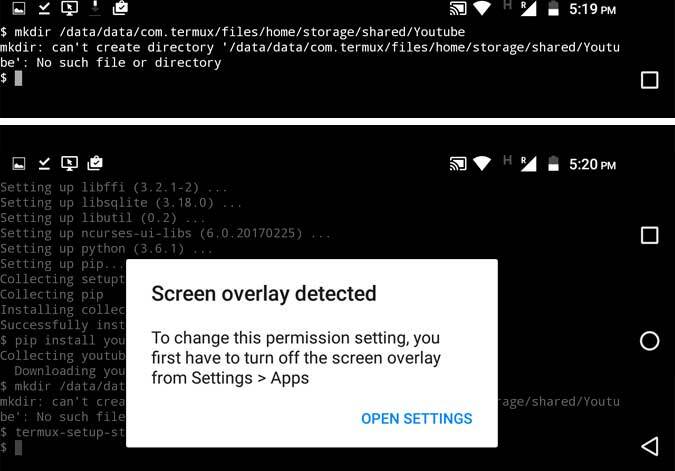 Open YouTube app (remember it works for any app though, as long as you get share option), click the “Share” link under the video and choose “Termux“. The download will start and once finished. You can find it under the YouTube folder. Thanks to YouTube user – Gabi Tiplea for providing the tip, If you want to download only audio replace “best[height<=480]” with 140 so in the final, you will have -f 140 instead of -f “best[height<=480]. I tried it and it worked fine. 4. 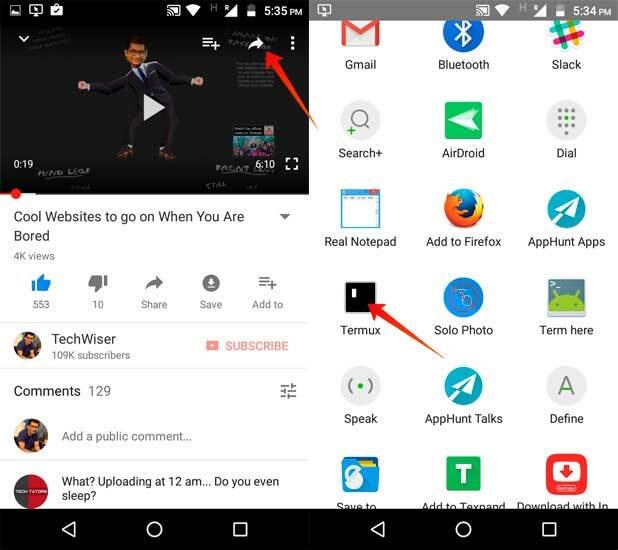 How to get pop-up options with different download format like 360, 480, 720p etc, like you get in YouTube downloader app? We are still working on it. With some good codes, it’s possible. But unfortunately, due to a busy schedule, I’m not able to put time on it. If you guys have an idea, shoot me an email or leave a comment below.